Matt and I have now been in New Hampshire staying with Karen Dewolfe, her baby Eva and husband Matt for a couple days. Friday we all felt in need of a little break from riding so decided to hike Welsh Dickey. Living right in the White Mountains we are surrounded by amazing scenery and could walk 10 min from their home to the trail head. 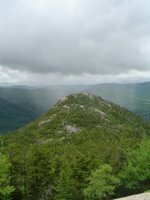 The hike took about 3hrs and we managed to miss the rain cloud coming over the hill in this pic. 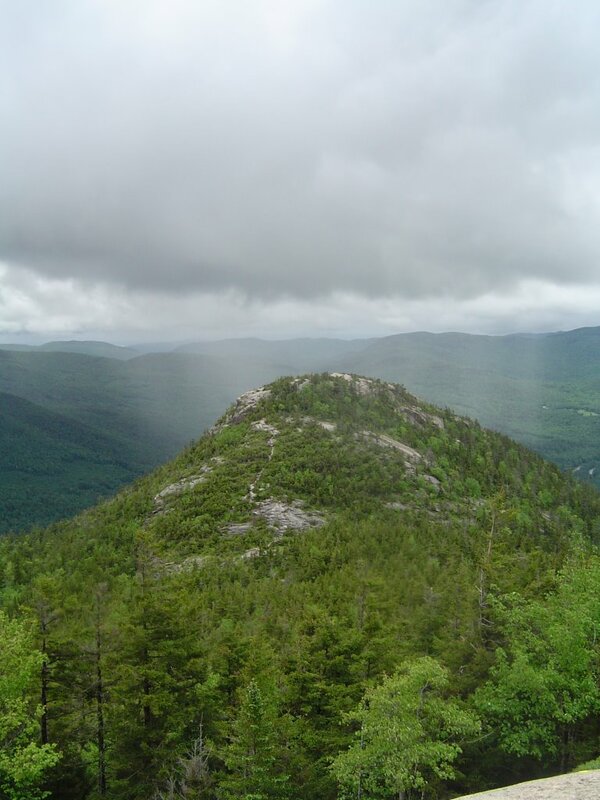 The granite rock covering the tops of the mountains allowed for some great views over the National forest.